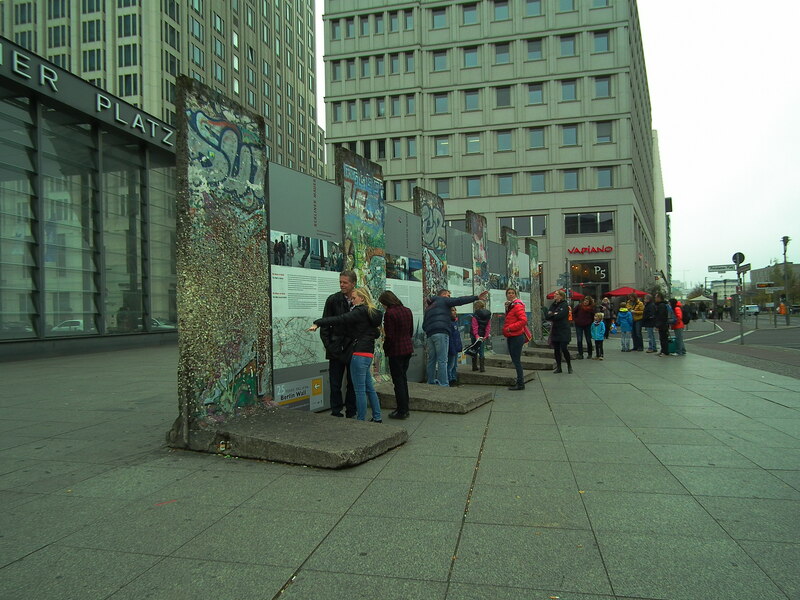 One cannot have failed to notice the 25th anniversary of the fall of the Berlin Wall over the weekend. Coupled with Remembrance Sunday, it has created a milieu of memorialisation over the weekend that has invoked process of grief, global strife, hegemonic power, activism & resistance, personal loss and spirituality. 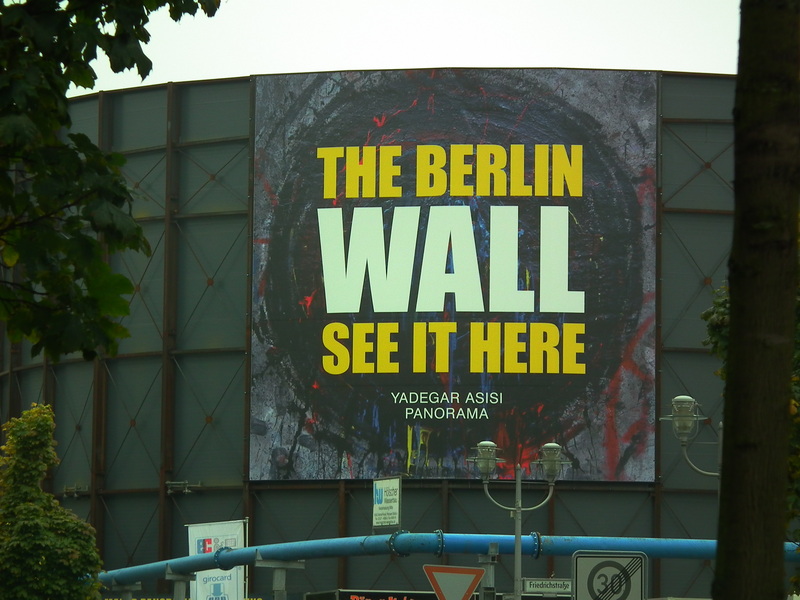 There has been a lot of pontification and media chin-stroking about the geopolitical wrangling and consequences of the fall of the Wall in the lead up to the anniversary, but what has always been present in the urban studies literature is the way in which the Wall acts very much within the urban geography of Berlin. 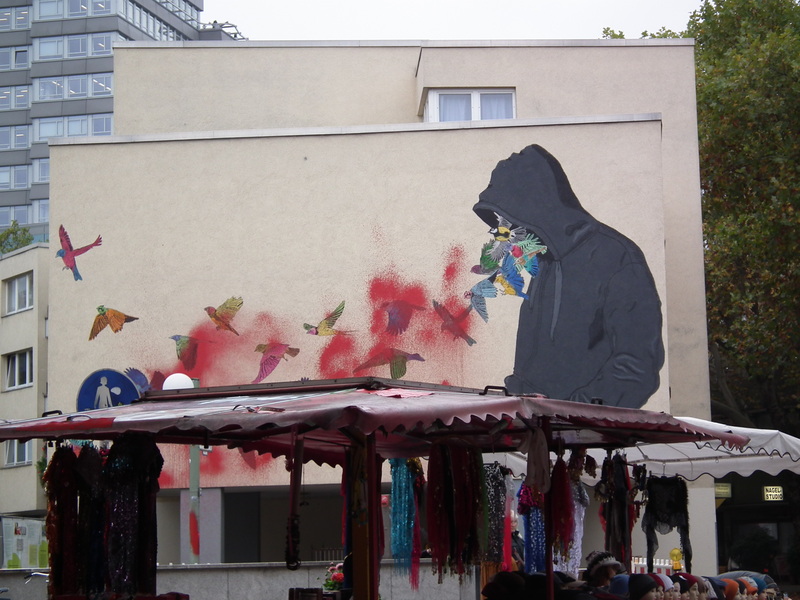 I was lucky enough to visit Berlin last month for a very interesting and enlightening Workshop on Controversies of the Creative City, and given the content of my talk (which was, in a nutshell, a 20-min dash through the themes of my book) the inventible question I always seem to be asked is ‘what is the alternative’? If neoliberal capitalism is unjust, damaging and polarising, just what is the answer? ** Given that we were in the city that symbolically saw the collapse of one viable ‘alternative’ it seemed like an apt arena in which to have the debate. With the workshop discussions pinging around my thoughts, I took it upon myself to practice what I so often champion which is the act of drifting à la The Situationists, something which can (can) begin to inculcate a more creative city. 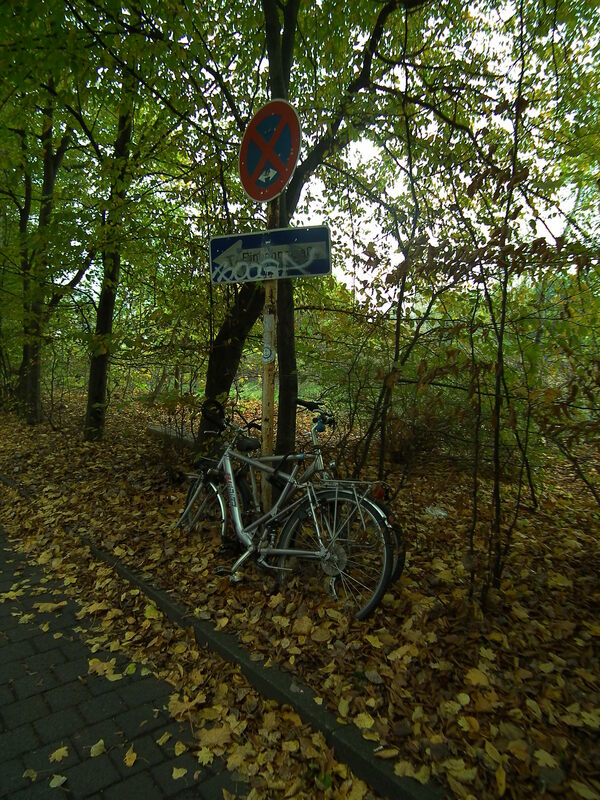 But of course, this is neigh-on impossible in the contemporary Creative City, so using the old line of the Wall (which is of course now, a recognised tourist route – Berliner Mauerweg, the Berlin Wall Trail), I walked from the SouthEast of the city centre to the North, keeping as close to the line as I could. This practice has been done elsewhere far more vividly that I ever could by Will Self (the flâneur of our time), and my photography skills have a lot to be desired (to say the least – click on the photos to see a larger version). 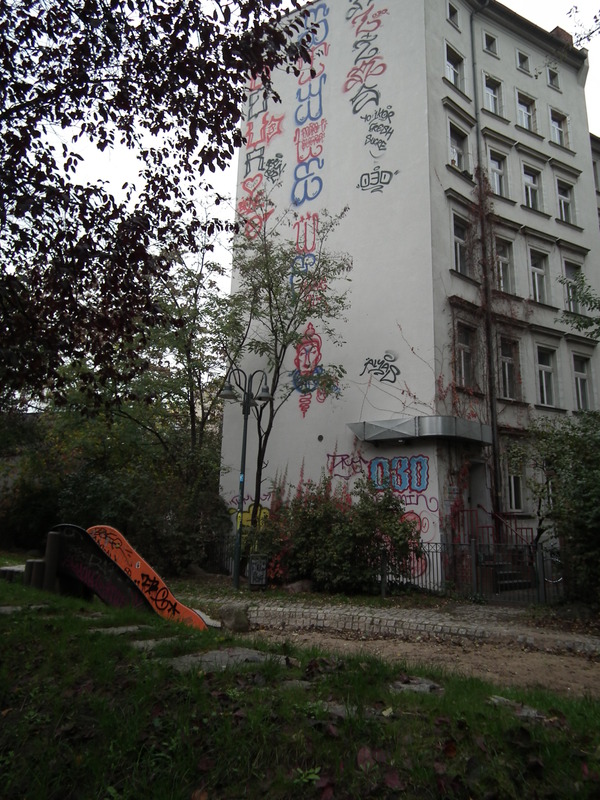 But what follows is a photographic essay which speaks to the changing urban condition in Berlin from a city divided along geopolitical and revanchist lines, but which now has perhaps lost the former in favour of a more global city-inculcated version of the latter. 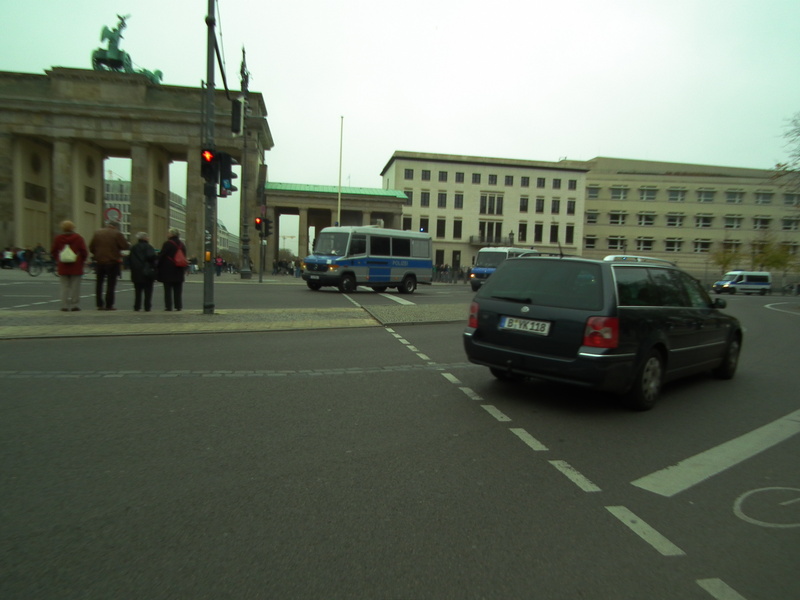 The Wall zig-zags throughs modern Berlin. 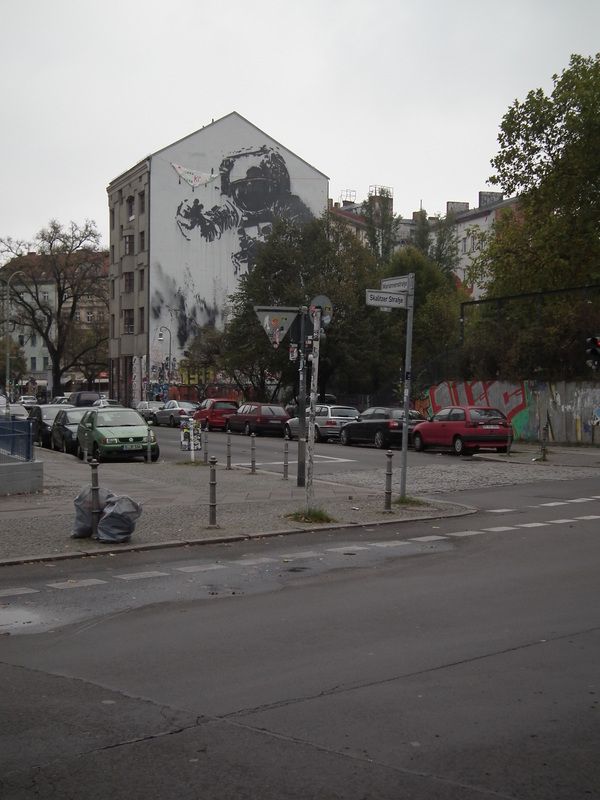 I joined the line in Kreuzberg, which, going off the advice of Alex Vasudevan (@Potentia_Space – whose has produced excellent work on Berlin) is somewhere I dwelled given its ‘subversive milieu’. A cold, wet Saturday morning meant that there was little in the way of activity in the streets beyond the everyday trading, but the neighbourhood is awash with ‘street art‘. As the line of the Wall forges me a path through the city, it highlights the new developments that have utilised the ‘old’ Eastern land of the city to maximise the rent gap. As the line of the Wall continued toward the ‘centre’ of the city, the architecture began to commercialise into the globally recognised office/condo state we see replicated across the World Cities of the globe. 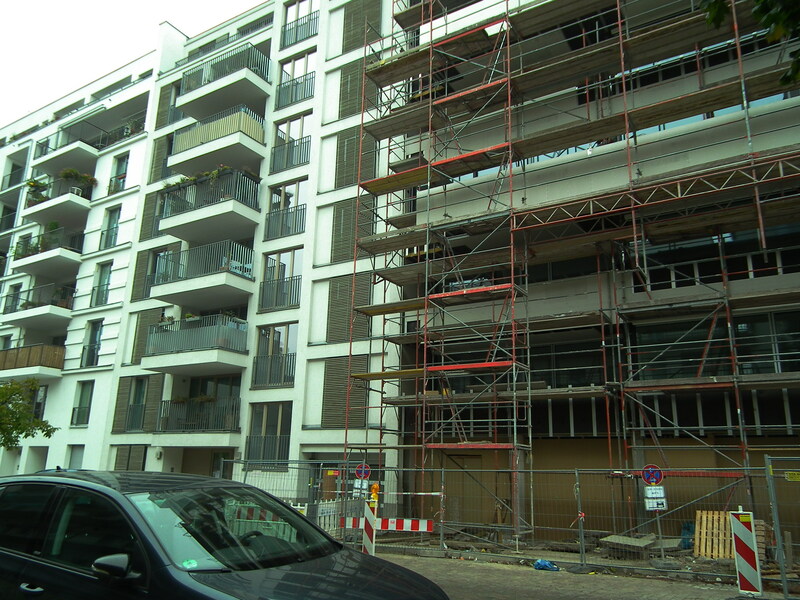 The sterility of the buildings surfaces are matched only by the lack of people on the streets. OK, perhaps this is unfair given the day, time and weather, and it is developing. Many building sites line the route speaking to the land grab going on. The rapid urbanisation of this part of the city seemed to be leaching life from the streets. 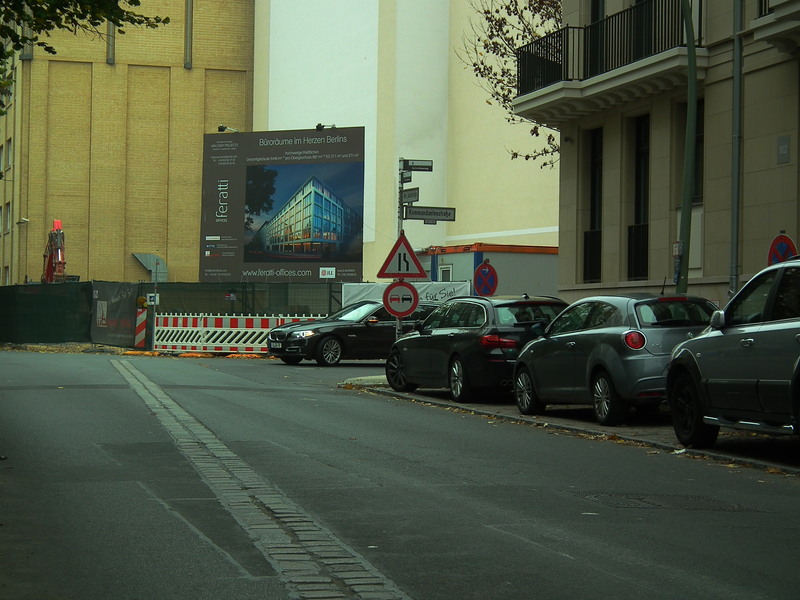 Before long, Checkpoint Charlie reached. Representing the old crossing point from the Soviet controlled area of the East to the American section of the West, this is now, like every other historical point of significance throughout the world, a honey pot for tourists (myself included of course). 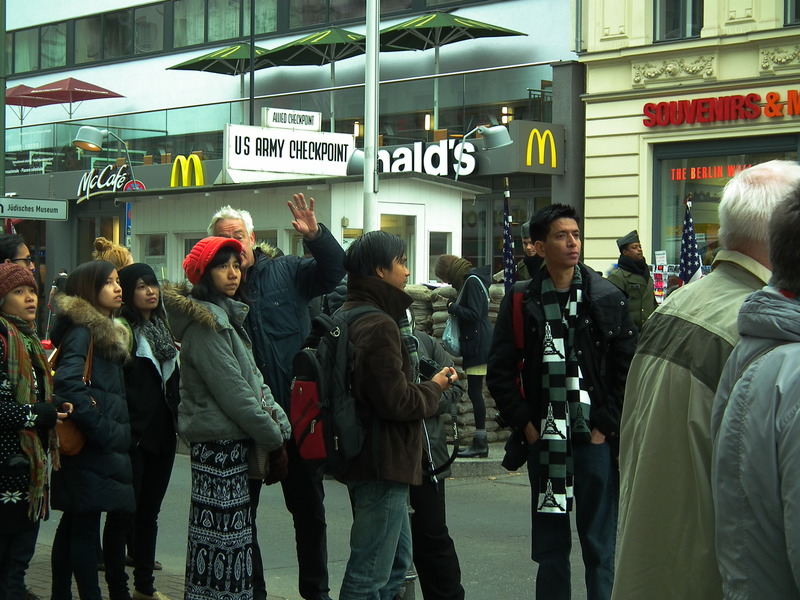 It is perhaps with some irony that McDonalds occupies the vistas of Checkpoint Charlie so heroically, “You are now entering the America sector” the sign reads, how true. Given the tourists, it was hardly surprising to see the tat, superficiality, commercialism interspersed with people begging, hassling you for money, perhaps trying to con you into donating to a sham charity. 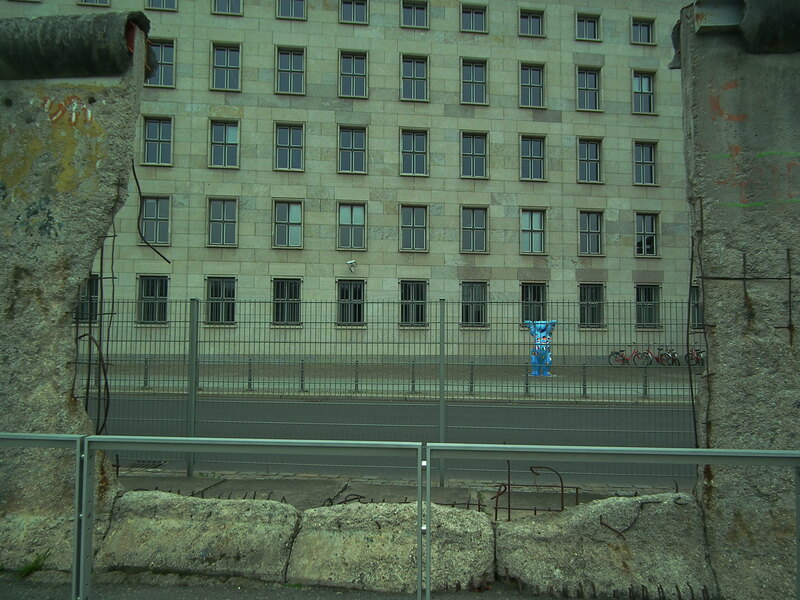 Checkpoint Charlie therefore can be viewed as a microcosm of how Berlin has swapped one form of duality for another. One form of oppression substituted for another? The Wall’s most in tact section (that I saw anyway) was manicured into a museum. Perhaps in an attempt to distract from the fact that the modern day city (not just Berlin) contains similar processes of hegemonic control as it once did? Sure, they’re now smaller, they can be fixed to the side of a building and controlled from a nerve centre far away, but a CCTV camera (in the middle of the picture above) can be just as affective in controlling movement as a wall. 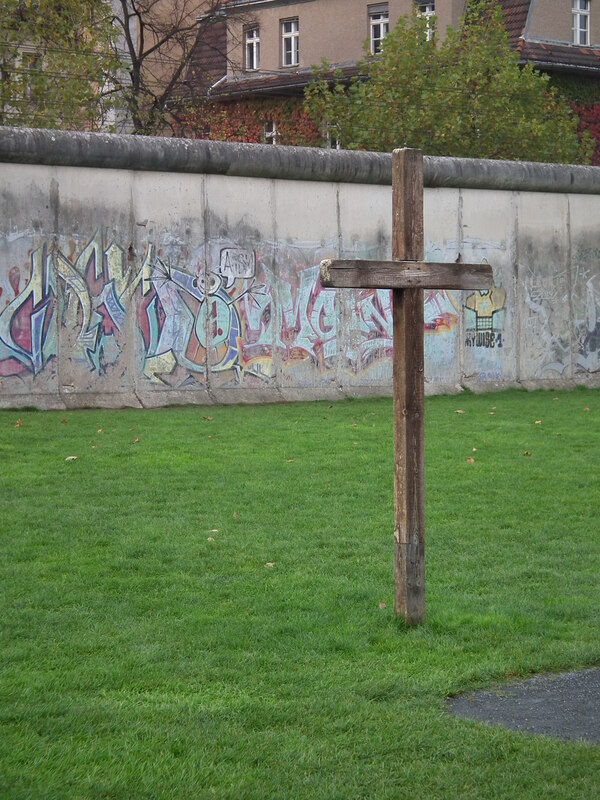 As I walked closer to the Brandenburg Gate and the throngs of bus-loads of organised tours, the remnants of the Wall were arranged more ceremoniously. Plaques speak the dominant historical narratives, and people pay homage by taking selfies. As I continued to follow the line of the Wall, I felt ever more directed by the city, the line now matching with the the spatialities of the city’s tourist board. 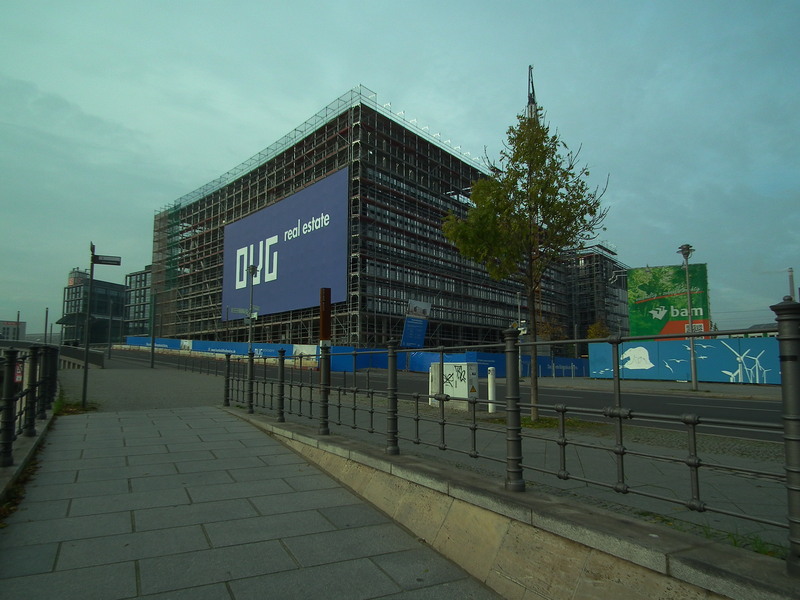 The Bradenburg Gate, the Reichstag, the modernised riverside, the line of the Wall took me through more modern development that spoke to the relentless march of the city’s real estate boom. An interesting find though in among the gleaming development proposals. 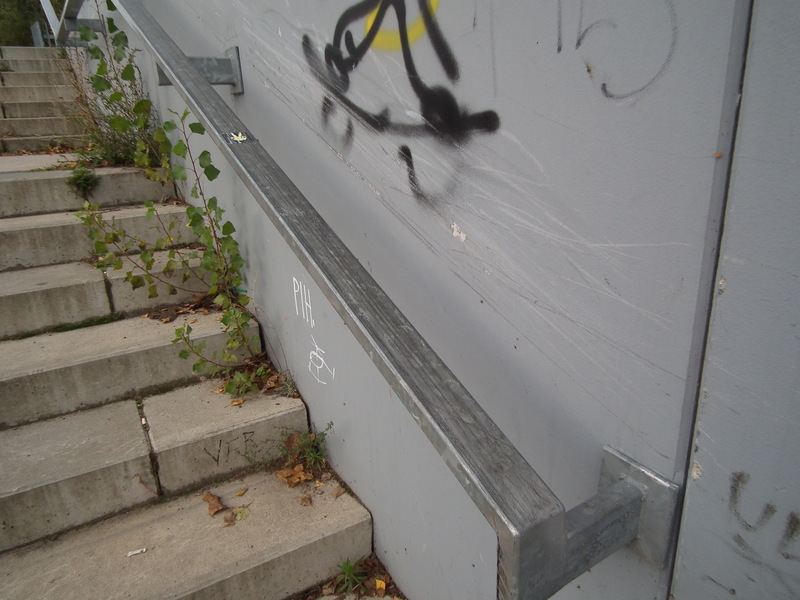 The legacy of urban subversion was seen in the obvious marks of skateboardings grinding down a stair rail. 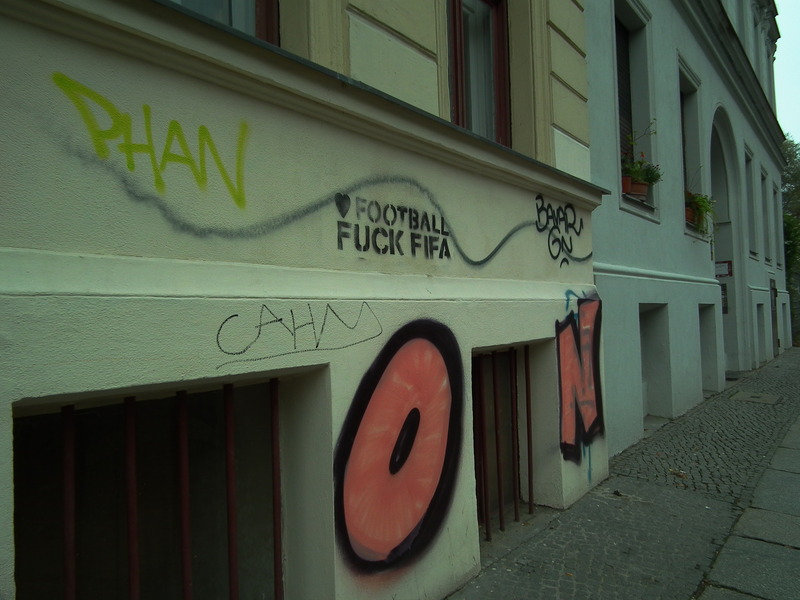 Evidence of subcultural activity in among the throng of Creative City hegemony. Parts of the Wall’s line is cut off to pedestrians at this point, which was a shame as it seemed to snake through industrial land and sites of urban decay, the antithesis of what had been viewed so far. 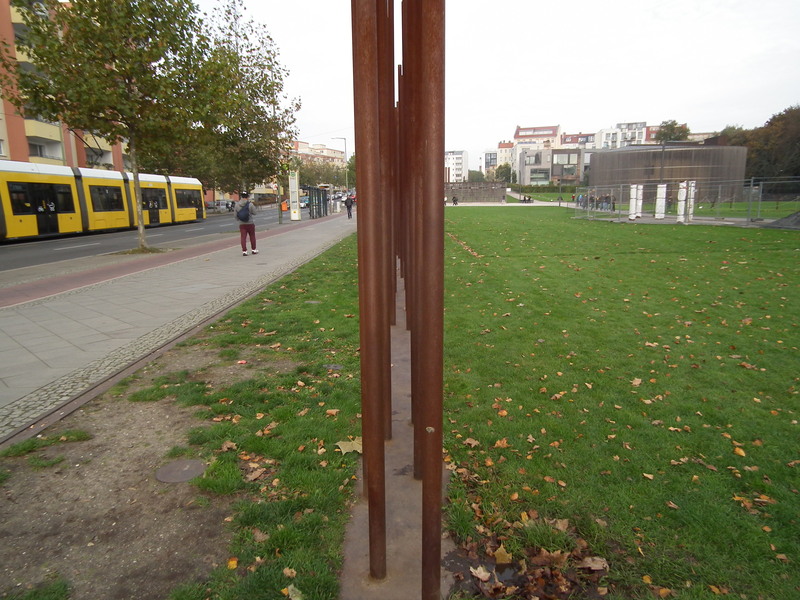 So the final part of the Wall’s line that I was going to see that day was the Berlin Wall Memorial Gardens. 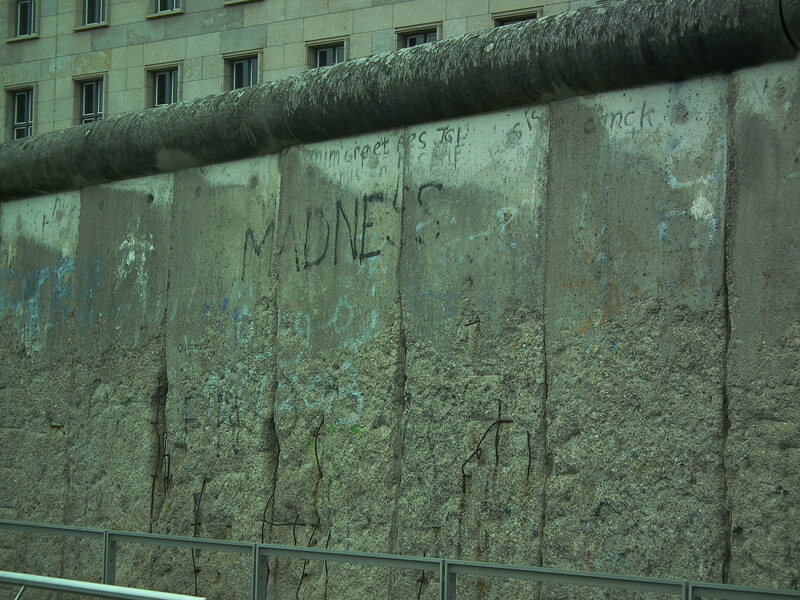 Here more of the Wall has survived, but it has managed to divert the crass commercialised form of memorialisation further South to Checkpoint Charlie. Here, sobriety is more the accepted affectivity. The garden is large, but seems to cut a swath of remembrance through the inner-city vitality. Trams to and fro on one side, children play in gardens on the other. The city is trying to move on but politely recognising its need to dwell. Like a hurrying businessman waiting for an elderly women to walk down the stairs. He won’t be patient for that long though is my guess. 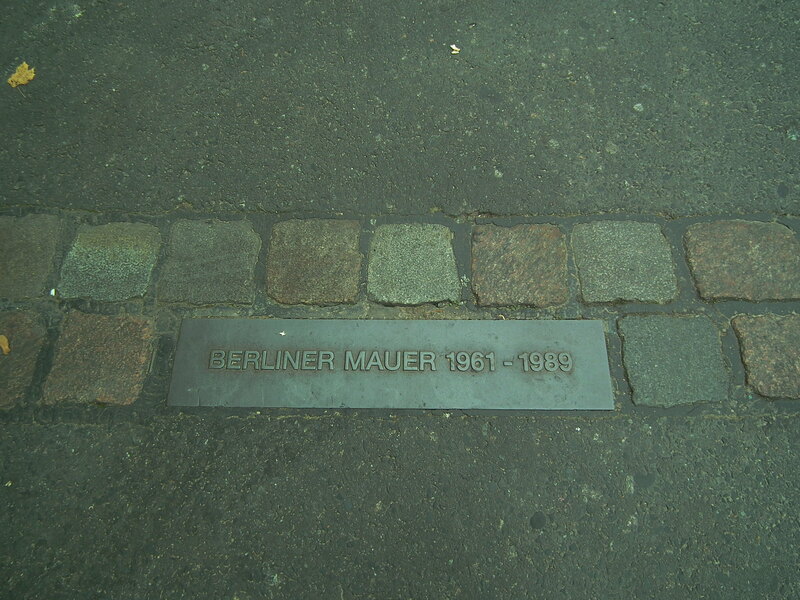 The Berlin Wall Walk is a path well trodden. 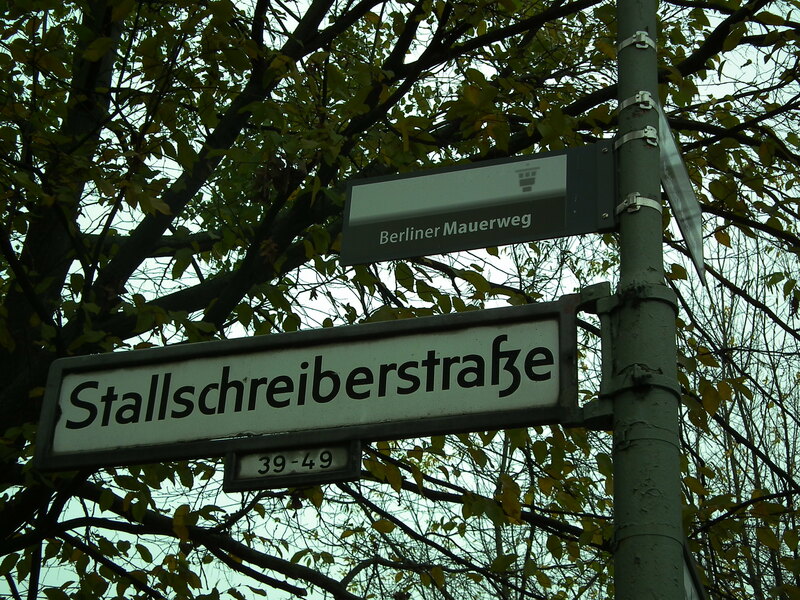 But viewing the ‘line’ as a transect to experience the city’s urban geography brought to the fore some of the ways in which we can articulate the changing nature of not just Berlin, but cities around the world. The Wall has mostly gone, but its legacy of a city divided lingers in the ether of urbanisation. 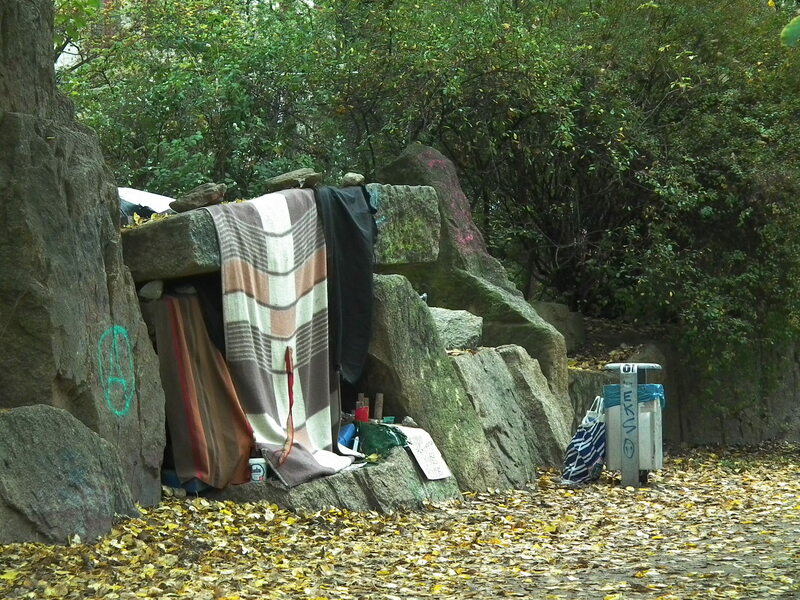 Berlin has not been immune to the neoliberal forces that engender divides. Sure, they are different in composition, but no less tangible in their effects. The contemporary city is a site of continued contestation no doubt; but walking the Wall reminded me that there is still a great deal of emotional energy that such divisions (past & present) can enliven, and if put to use can begin to forge a way through such divides. **Incidentally – this question often riles because the alternative is to shun orders and hegemonic thinking and flee! This notwithstanding, just because no ‘alternative’ is offered does make the critique any less valid, as China Miéville once so eloquently said.